---Item has been professionally tested and inspected to function properly. The device has been reset to the factory default condition and is ready for use. ---This tablet is used and has some barely visible scratches on the screen and some minor scuffs on the back. ---Overall condition is good. Great working condition. ---It comes just by itself without the original box and additional accessories. ---Included: Acer Iconia One 10 B3-A30 32GB Tablet. ---Not Included: Original box, charger, and any additional accessories that originally come along with the tablet. Z2760 (1.80 GHz). 64GB internal storage. High-brightness (350-nit), Acer CrystalBrite LED-backlit TFT LCD with integrated 5-point multitouch screen, supporting finger touch and image auto rotation (16:9 aspect ratio). Processor Type: Cortex A35. ICONIA B3-A40-K5S2 Tablet. Display Screen Type: Active Matrix TFT Color LCD. Form Factor: Slate. Battery Chemistry: Lithium Ion (Li-Ion). TV Card: No. AC Adapter. Wireless LAN Model: MT6630. SHOWS LIGHT SIGNS OF USE. ITEM WORKS PERFECTLY. It would be very much appreciated. You are purchasing Qty 1 Tablet per "Buy it Now". Back silver screen has light scratches on it. We’re easy to work, with just ask. Communication is key. Closed on weekends. Auctiva Free Image Hosting. Acer Iconia Tab 8 Wi-Fi in good fully functional working order. • This tablet has been tested and is working good. -You must have wi-fi service to access the internet with the tablet. -This tablet has a screen protector. Iconia One 7 B1-7A0-K78B Tablet. Form Factor: Slate. TV Card: No. Check-Out Now! AC Adapter. Wireless LAN Standard: IEEE 802.11b/g/n. Weight (Approximate): 9.52 oz. Depth: 7.4". Acer Iconia W510 10.1" Touchscreen 32GB Tablet with keyboard and case. Condition is Used. Shipped with USPS Priority Mail. Acer Iconia B3-A40 10.1" 1920x1200 display, Android 7.0, MT8167 1.5GHz System on Chip, 2GB RAM, 32GB eMMC Storage. 10.1" Android 32GB. UPC Number: 191114535257. Model Acer Iconia One 7. Type Tablet. Manufacturer Color Black. Resolution 1280 x 720. Acer Iconia One B1-7A0-K92M 7" Cortex A35 MT8167B 1GB RAM Android Tablet. OPEN BUT NEVER USED. Acer Iconia One 10 B3-A40-K7JP 32 GB, Wi-Fi, 10.1 inch - White (Cortex A53. Condition is Used. Shipped with USPS Priority Mail. Model: Iconia A1-810. This tablet is running android Jellybean 4.2.X and cannot be upgraded. Condition: This tablet is used, has been tested and is fully functional. 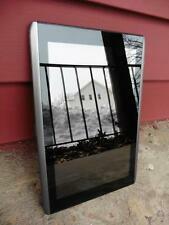 GRADE A, This tablet may have one or two minor scratches on the screen that aren't noticeable with the display on. With the Iconia One 7, life is bright. Brighter videos inspire creativity. Wireless LAN: Acer Nplify 802.11b/g/n. Battery Information. Battery Capacity 3700 mAh. Display Screen Type Active Matrix TFT Color LCD. Works great, just wanted a windows 10 tablet, so I don't need this one. Very Briefly Used! ACER ICONIA ONE 7 TABLET B1-730, 16 GB Wi-Fi in ORIGINAL BOX! Briefly Used ACER ICONIA ONE 7 TABLET B1-730, 16 GB Wi-Fi in Box LEATHER CASE! Get a Grip & More. Weighs 1 lb. Tablet is previously owned. Physical condition shows light wear from previous use, nothing that should affect the proper use of the tablet. Tested, reset and functional. What's Included?. What is the history of the item?. Family Line Iconia. Storage Capacity 32GB. Touch Screen Technology Multi-Touch. Width 7.48in (19 cm). Exterior Color Black. Processor Manufacturer AMD. Height 10.83in (27.51 cm). Wireless capabilities WLAN 802.11b, WLAN 802.11g, WLAN 802.11n. For Sale Acer Iconia Tab 8 A1-840 16GB, Wi-Fi, 8in - White. Acer Iconia Tab 8 A1-840. 16GB, Wi-Fi, 8in - White. Tested,Good Working Conditions. Acer Iconia A1-830. Android 4.2.2. 1 x microSD SloW. Credit Cards. Acer - Iconia One - 8 Tablet - 16GB - Wi-Fi - White. Make: Acer. Check with the manufacturer for more warranty information. ICONIA B3-A40-K5S2 Tablet 10.1-in 2GB 32GB Android 7.0 Nougat 10.1in. Acer Iconia B3-A40 10.1" Android Tablet. Product Family: ICONIA B. Product Line: ICONIA. Manufacturer: Acer. Form Factor: Slate. Product Type: Tablet. Acer Iconia One 8" Android Tablet 16GB B1-850 A6001 & Power Adapter. Condition is Used. Shipped with USPS Priority Mail. ---PLEASE KEEP IN MIND THAT THIS ITEM IS USED AND MAY HAVE SCUFFS AND SCRATCHES *SEE PICTURES* ---You will be getting an Acer Iconia One 8 B1-850 16GB Tablet. ---This phone 2 tiny scratches on the screen that don't interfere with tablet's usage. Other than that in perfect condition. ---Cosmetic condition: 8/10 ---Included: Acer Iconia One 8 B1-850 16GB ---Not Included: Original box, charger, manual, and any additional accessories that may come along with the tablet. Included Wacom EMR (electro-magnetic resonance) stylus for natural writing and drawing. UPC Number: 191114676356. Acer Iconia B1-710-L846 7 in HD Android Tablet w 8GB. Wireless LAN: Acer Nplify 802.11b/g/n. Color: Oceanic Blue. microSD Card. Green Compliance Certificate/Authority RoHS. Height 7.8". Physical Characteristics.